If you are devoid of a Russian history major prior to your visit to Saint Petersburg you may find yourself looking vacantly at testaments to distant Tsars, peering curiously at statues erected for formidable Empresses and walking aimlessly through palaces and churches signifying significant points in the long chequered history of this undisputed cultural capital of Russia. If you find yourself in the streets of Saint Petersburg, which I encourage you to do, you might want to brush up on a few key milestones that will help you get an appreciation for the architecture and its connection to the timeline of Russian history without needing, as I did, to constantly stop and thumb through historic references on my phone! You’ve probably already noted a common name coursing through Saint Petersburg’s veins. Peter the Great ruled for over 40 years from his coronation at age 10 in 1682 till his death in 1721. Founding Saint Petersburg in 1703 he instituted many reforms to bring a medieval Russia into the modern industrialised world. The first of quite a few palaces he built in Saint Petersburg was the Summer Palace. 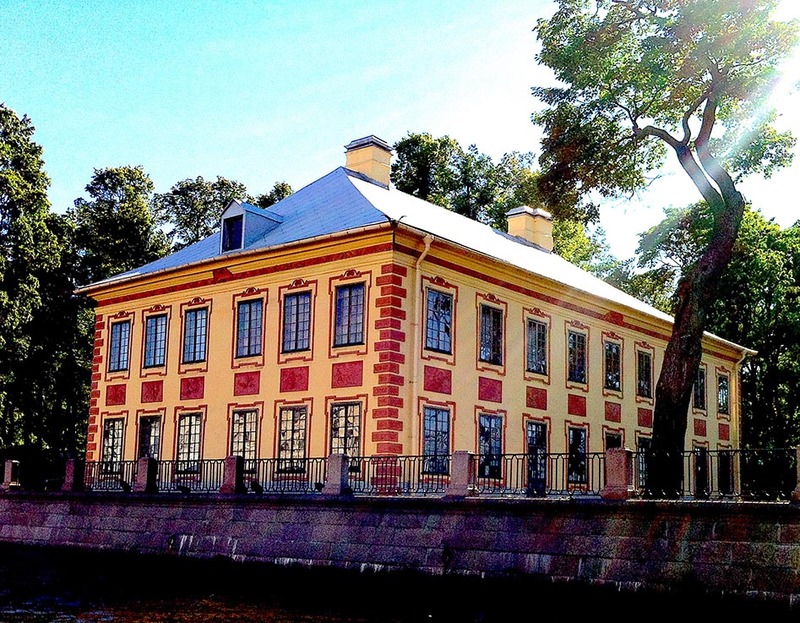 Peter the Great lived here with his family for nearly ten years from when it was built in 1714 until he died. Quite a modest palace as compared to the many palaces that were to follow. Best views are from a canal boat tour of which there are many to choose from at an affordable rate. 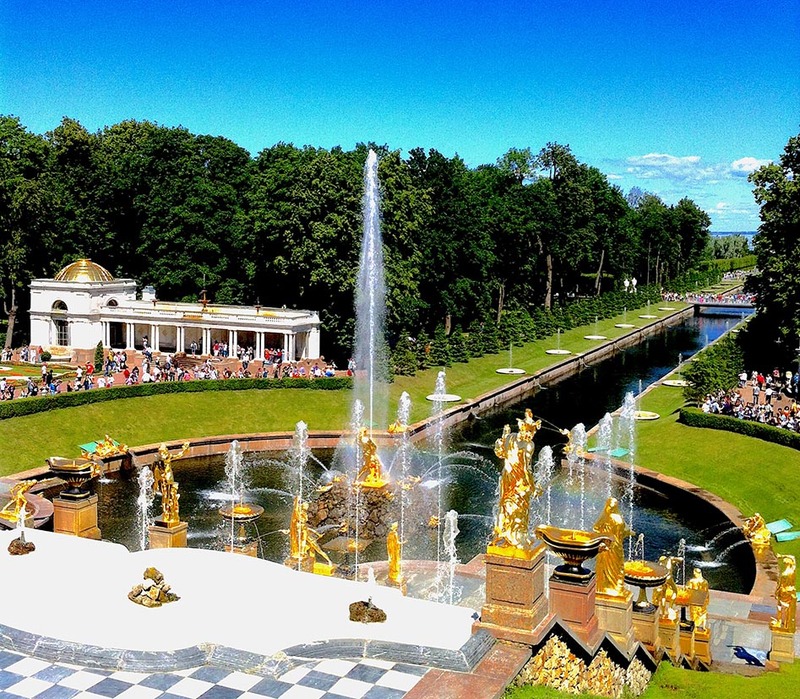 Peterhof Palace, known as Russian Versailles, was also commissioned by Peter the Great due to its strategic position in the harbour to both access nearby naval bases and access his own personal ships to travel to the rest of Europe. The palace is worth visiting for the impressive array of fountains spurting through every orifice imaginable across the expansive gardens. The unique claim to fame is that the fountains are all gravity fed, meaning no water pumps. The water travels up to 4km away to build up the required pressure to achieve the more impressive shows such as the Grand Cascades pictured below. After 4 attempts, spanning 4 Russian rulers, the Winter Palace was finally completed. The Winter Palace has been the official residence of the Russian monarchs until the Soviets arrived in 1917. Construction was commenced by Peter the Great and completed under the rule of Catherine II (also known as ‘Catherine the Great’). It is an impressive edifice in central Saint Petersburg over 250 meters long and is a central part of the broader and extensive Hermitage Museum, but more on that later. The queues (and process) to purchase tickets at the window can be a frustrating exercise. I suggest booking tickets in advance if you are not on a tour. Get hermitage tickets online here and avoid the queues! Winter Palace along the Neva River of Saint Petersburg. Ferries to Peterhof run from in front of here. Catherine the Great was married to Peter III until he was assassinated in 1762. Catherine and Peter were actually estranged and evidence points to Catherine having a hand in her husbands demise :0 With no legitimate claim to the throne a PR exercise was need to solidify her right to rule. Catherine was as canny as she was great and commissioned a 6m statue of the original Peter, Peter the Great (not her husband) in molten bronze atop a 1500 tone block of ‘thunderstone’ no less, and inscribed with the plaque which reads; ‘Catherine the Second to Peter the First, 1782’. A mastery piece of propaganda which went on to see Catherine rule for over 30 years and, to be fair, contribute a lot to Russia’s transformation into a leading nation of the world. Two things further solidified the Bronze Horseman as a symbol of the city. 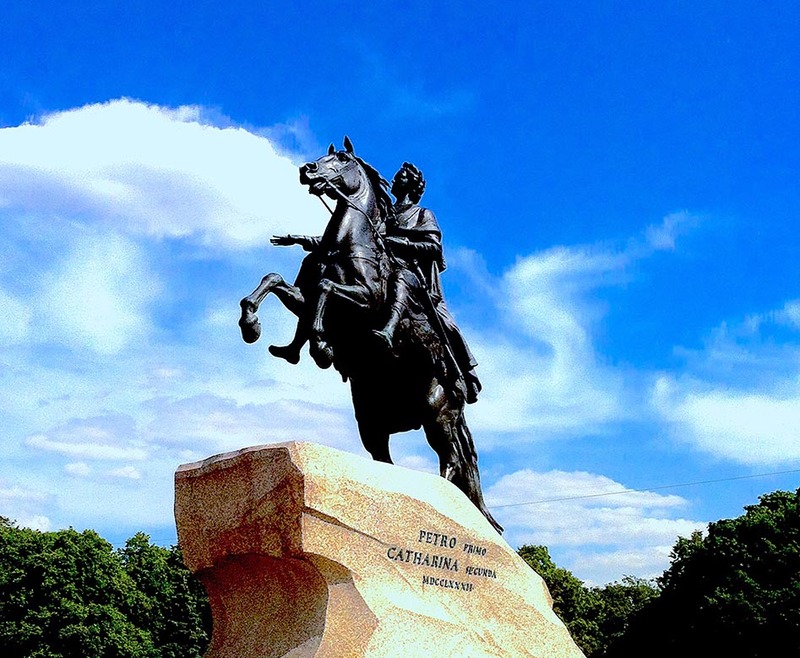 Firstly, the name ‘The Bronze Horseman’ came from the Alexander Pushkin poem of the same name, although written after the statue was constructed, which is recognised as the most influential pieces of Russian literature. Secondly, during the second world war Saint Petersburg (then Leningrad) was surrounded by the Nazi blockade leaving the Russian residents to nearly all starve to death. It was said ‘While the Bronze Horseman stands, Saint Petersburg will never be conquered’ which has remained true to this day. Today though you can lay on the grass in the shadow the Bronze Horseman for a picnic (in summer of course). You may even have come across the popular series of novels by Paulina Simons which give a good insight into the horrible conditions faced during the Nazi blockade, in between a fictitious Russian romance of course! The bronze horseman, represents the resilience of Saint Petersburg, and a clever piece of propoganda from Catherine the Great. During Catherine the Great’s rein she had her eyes set on the west moreso than the east and brought back a vast collection of souvenirs from her travels. As a patron of the arts, literature and education Catherine the great’s personal collection of art and artefacts became, in 1852, what is now known as the Hermitage Museum. 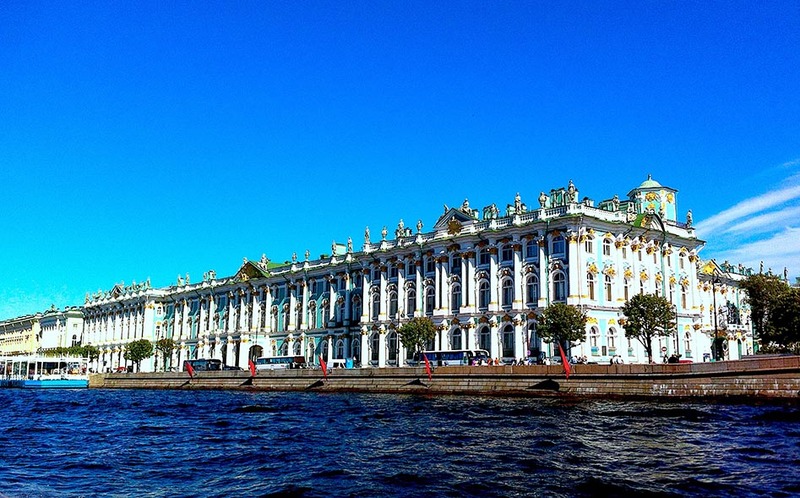 Today the Hermitage Museum occupies the Winter Palace and a number of other connected buildings overlooking the River Neva and is recognised as one of the largest collection of art anywhere in the world. It would take many days or weeks to observe each piece of art and you’ll find the most popular pieces, like an original Da Vinci, with the appropriate crowds gathered in front. 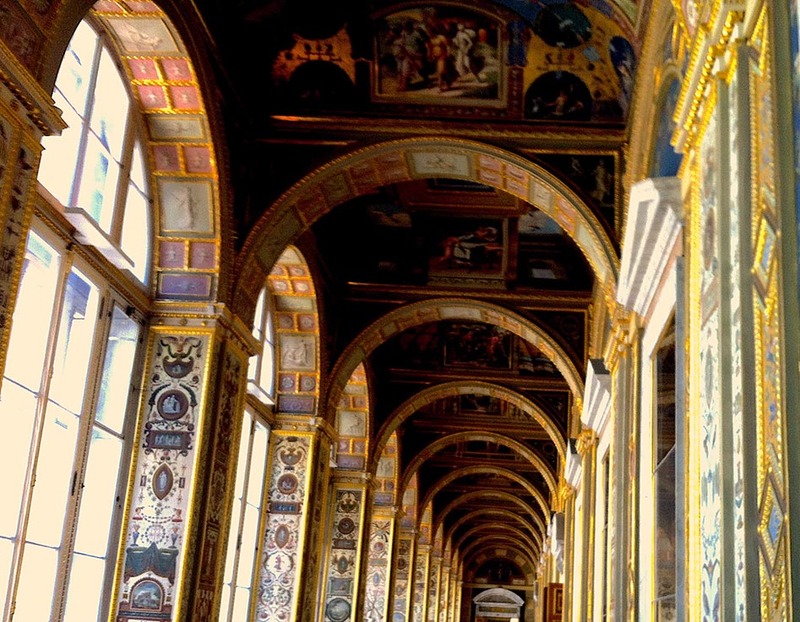 The endless corridors and artworks contained in the extravagant Hermitage Museum. Catherine the Great established the Opera and Ballet troupe in 1783 but it wasn’t until 1860, and three successors later, that the home for this troupe was officially established at the newly built Marinsky Theatre. Opened by Emperor Alexander II it was named after his wife Maria. The Marinsky Theatre houses Opera, Ballet and Orchestral performances where many well known artists like Tchaikovsky have made their debut. A decadent theatre design which you can see on a tour but watching a performance, whether you enjoy the ballet or not, it is worth the ‘when in Rome’ experience. An ominously long title for this prominent landmark in central Saint Petersburg. If you were jet lagged you might think you have woken up in Moscow with the onion domed roofs similar to that used on St Basils in Red Square. Emperor, Alexander II, while travelling along the Griboedov Canal in 1881, was assassinated on this spot after a second successive and ultimately successful grenade attack mortally wounded him. 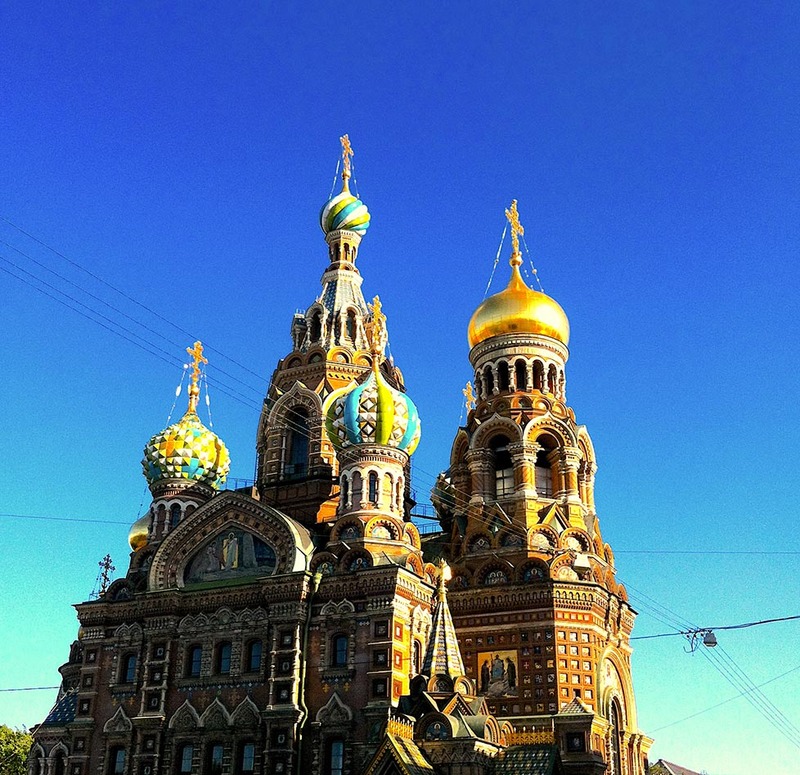 His son, Alexander III commissioned this church to be built in his honour and it was completed in 1907. You will find many artists positioned along the canal painting this impressive Church and of course many are available in the markets lining the canal for purchase. After Alexander III there was only one more Monarch before the Soviets came and transferred administrative power to Moscow in 1917. Saint Petersburg was renamed Petrograd, then Leningrad before reclaiming it’s rightful name of Saint Petersburg in 1991 along with it’s ever growing cultural significance in Russia. Access to Russia is still difficult to do independently but I encourage you if you can to take time out to stroll Nevsky Prospekt and the streets lining the canals at your own pace, grab an ice-cream or picnic and sit in one of the many gardens or enjoy the modern restaurants on offer throughout the old part of the city. Like many cities on the water, getting out on a canal boat or ferry will give you a new appreciation for the layout, architecture and way of life in this beautiful city with a colourful history. I hope you are now more informed for your visit. Or, if you have been before and felt something has been missed, please share in the comments below!